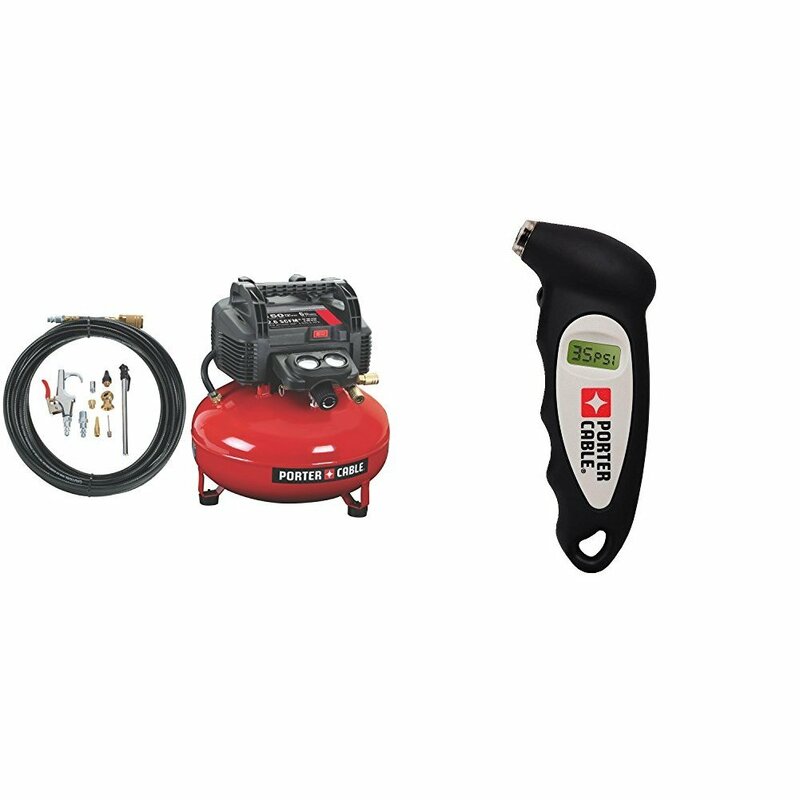 I live in a rural area and needed a good compressor to air up RV and vehicle tires. 2 CFM should be adequate for this task, and this product says it has 2.6 CFM. The first thing I did was try to air up my F150 tire from 27 lbs to 35 lbs, the proper spec. 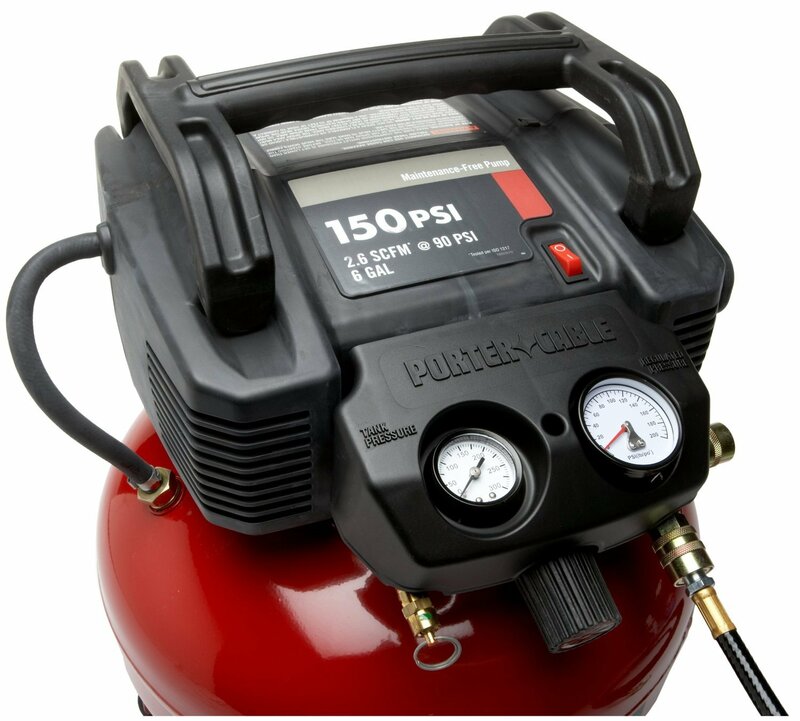 It would not put any air in the tire even though the tank pressured to 150 psi, and I set the regulator at 140 psi. That should be enough pressure to overcome the resistance of the pressure already in the tire. But it appeared it wasn't. I tried another tire to make sure there wasn't something wrong with the first tire's air valve. Same thing, wouldn't put an oz of air in the tire. 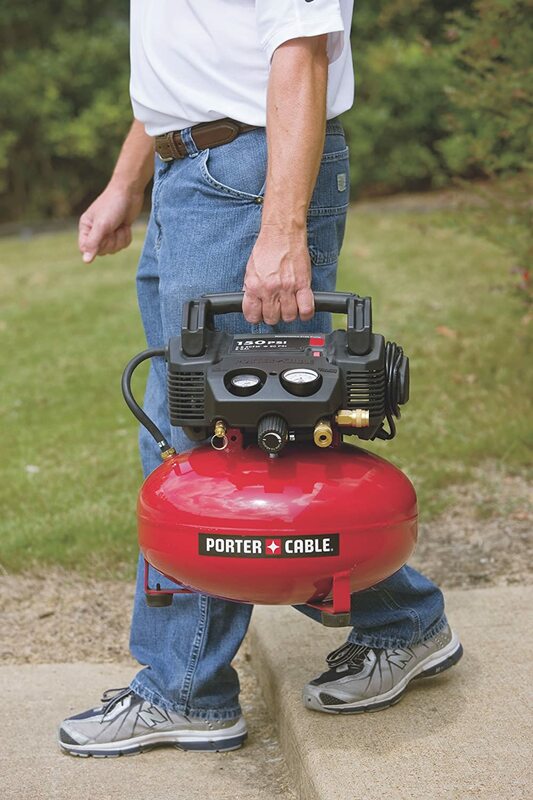 I called Porter-Cable for help and got some lady that didn't appear to even understand the issue, so she told me to just return it to Amazon, and that was what I planned to do. As far as Porter-Cable was concerned, I was basically on my own. 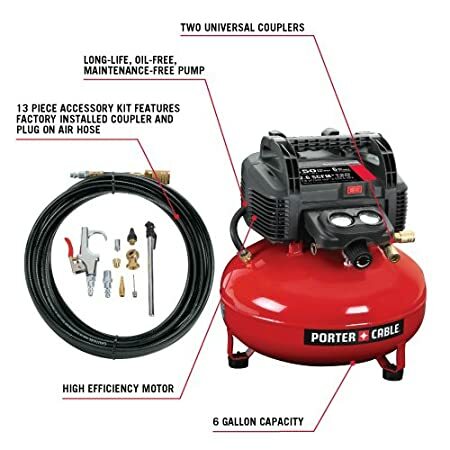 I did a lot of researched on air compressors trying to make the right decision before purchasing this compressor, but felt I obviously must have missed something. 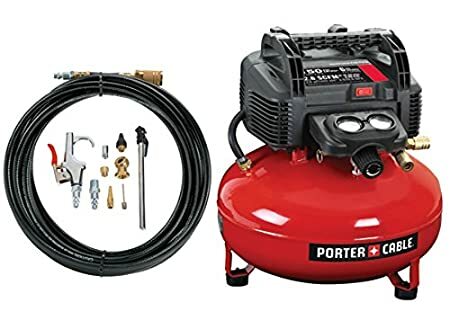 But not believing it was the compressor, I finally found on the internet, doityourself.com, where others have been having this problem since 2006. The problem is with the cheap Chinese air chuck that is shipped with the Accessory Kit that comes with the compressor. It is too shallow to depress the air valve stem far enough to let air into the tire. It will let it out, so I assumed it should let it in. But I found out that is not how valve stems work. The stem has to be depressed enough further to allow air in. 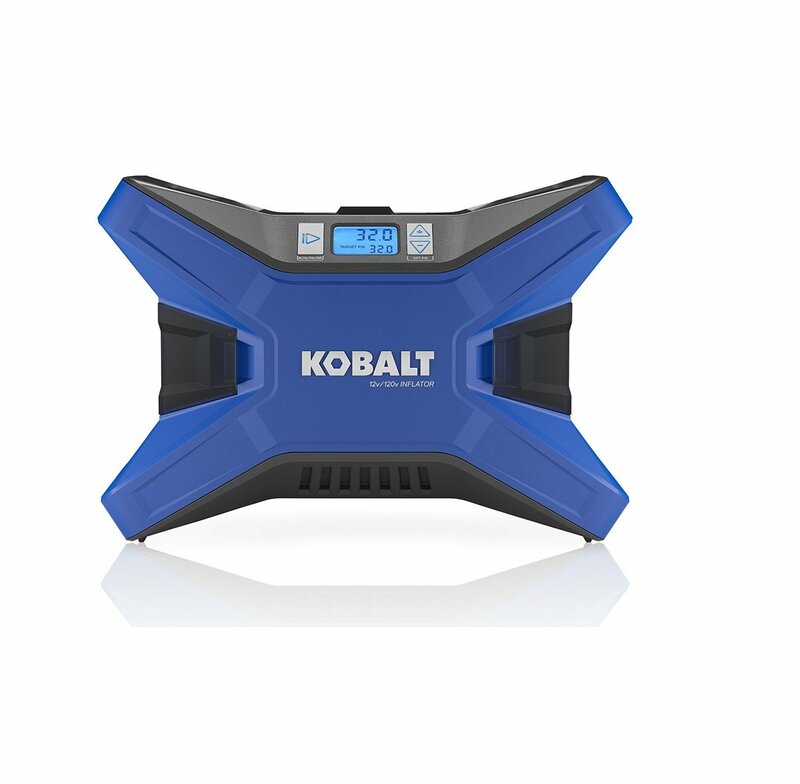 The fix was to go to Walmart and purchase a Campbell Hausfeld Dual Foot Chuck MP3231, which Amazon probably also sells, but I wanted it in a hurry to see if this would fix my problem, and it did. 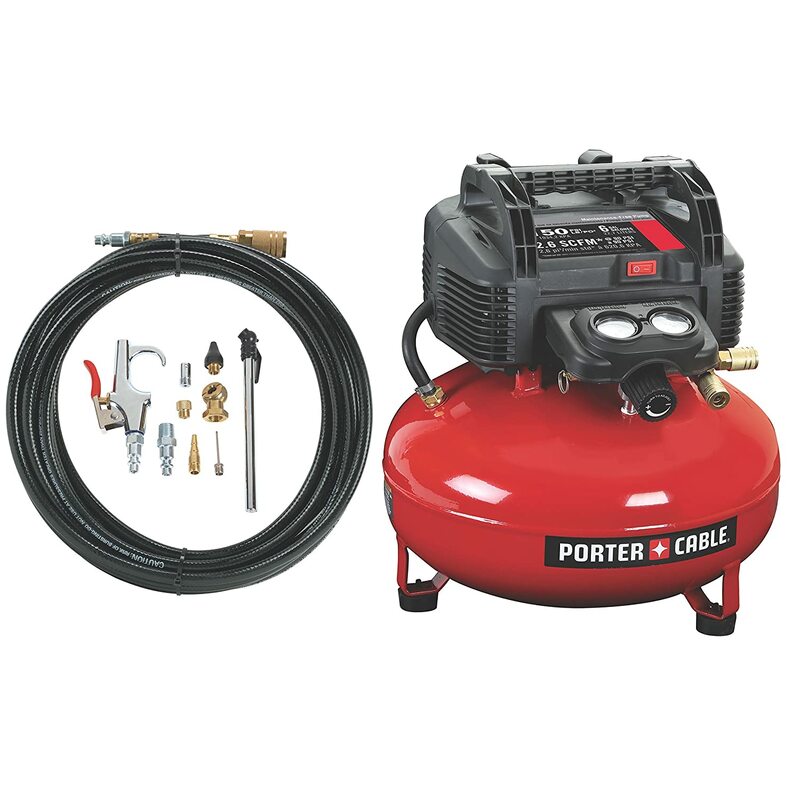 The moral of the story is if you are going to use the compressor to inflate tires, be sure to get a commercial grade Chuck along with the compressor. 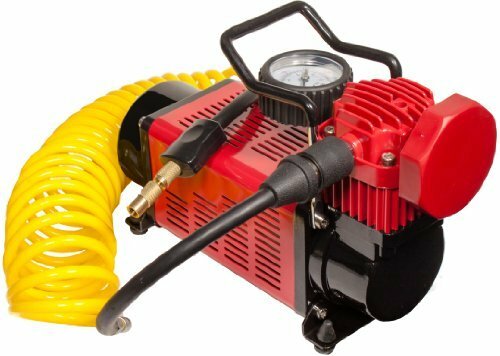 As far as I know, everything with the compressor worked fine and I would have given it a 5 as a tool to inflate tires, but sending it with a cheap chuck that doesn't work, only merits a 4. 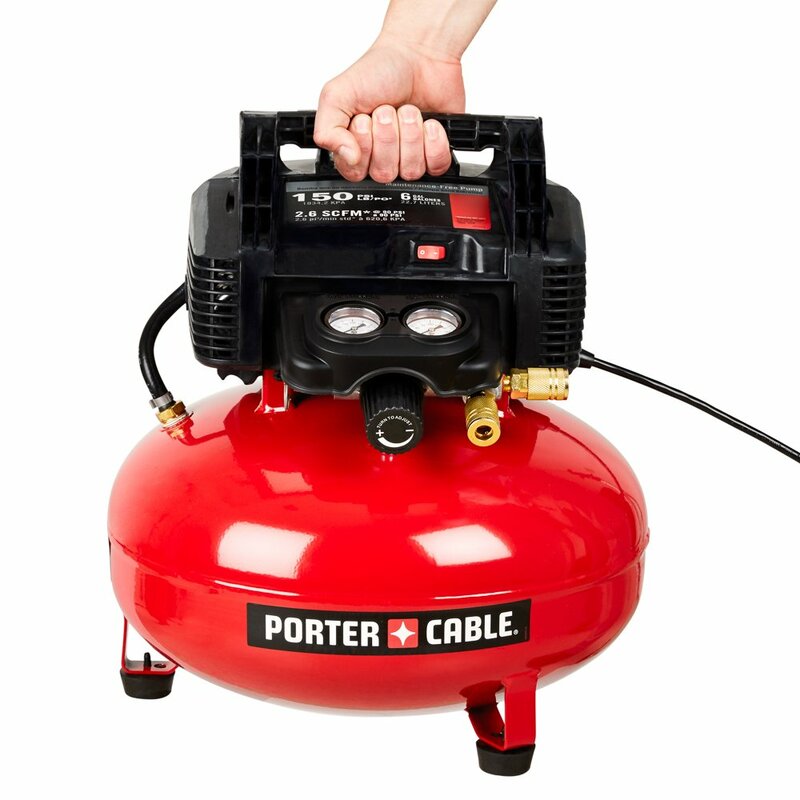 After reading TONS of reviews on various air compressors, I knew I'd buy the Porter-Cable version. 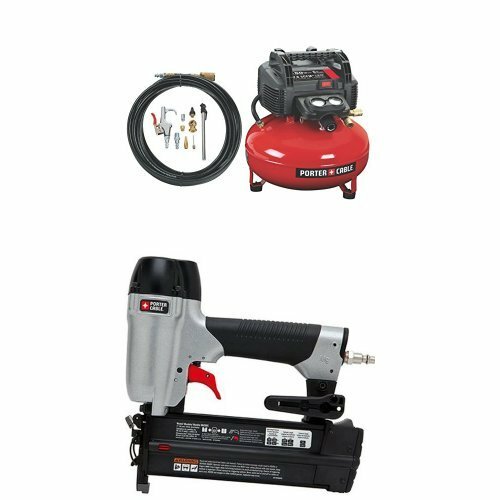 I'm a homeowner and am NOT an expert in power tools. 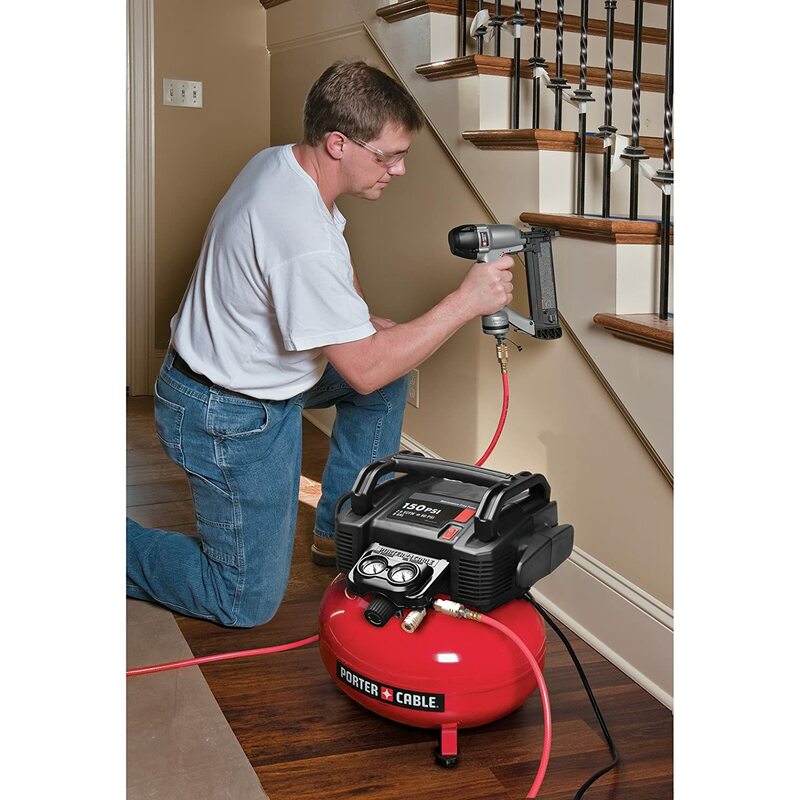 But I do enjoy home improvement projects and want to buy the best tools I can afford and take good care of them. 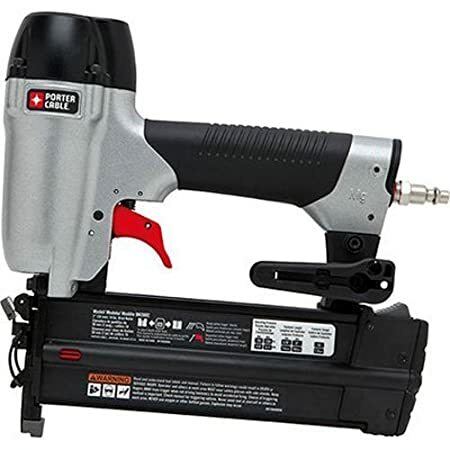 That being said, I went out and picked this model up today at Lowe's for $159. Exactly as advertised and exactly what I need. 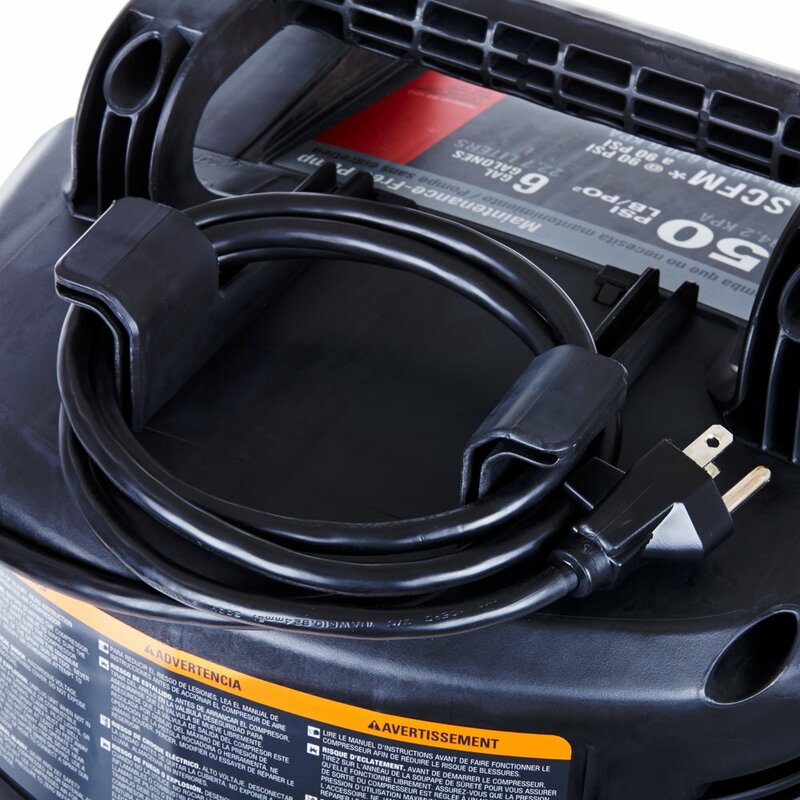 However, there have been some serious reviews from serious users cautioning of the ABSOLUTE NECESSITY of BREAKING-IN your compressor BEFORE USING IT!! Somehow, if you don't break it in properly beforehand, you may be literally wrecking your expensive hardware before you even get to use it. 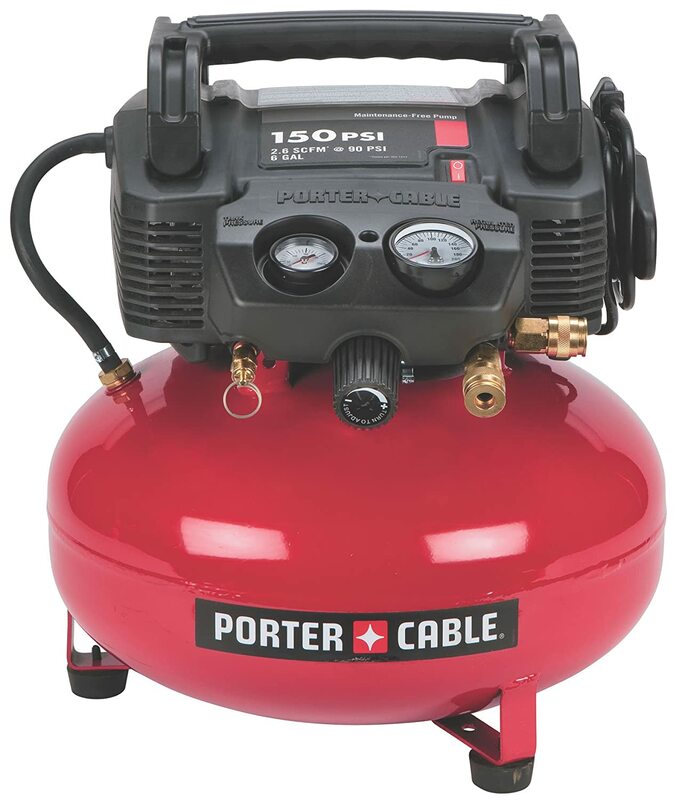 I bought this Porter Cable Oil Free Air Compressor to use with my finish nail guns. 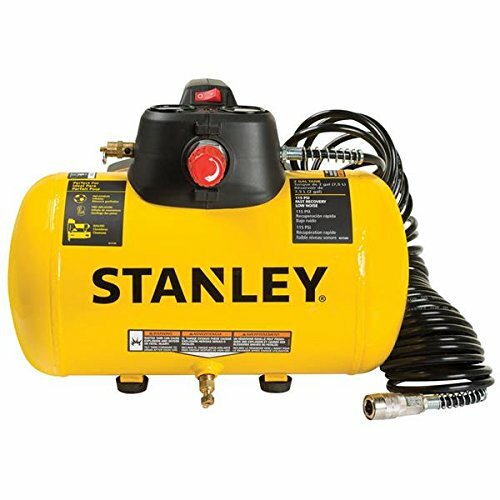 I got tired of lugging around my old Craftsman 33 gallon air compressor for small jobs and I needed something that's more easily portable. 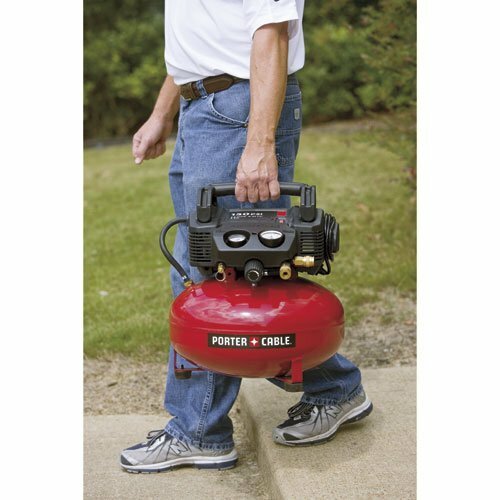 This Porter Cable Pancake Air Compressor fits my needs, works very well and is much easier to carry. 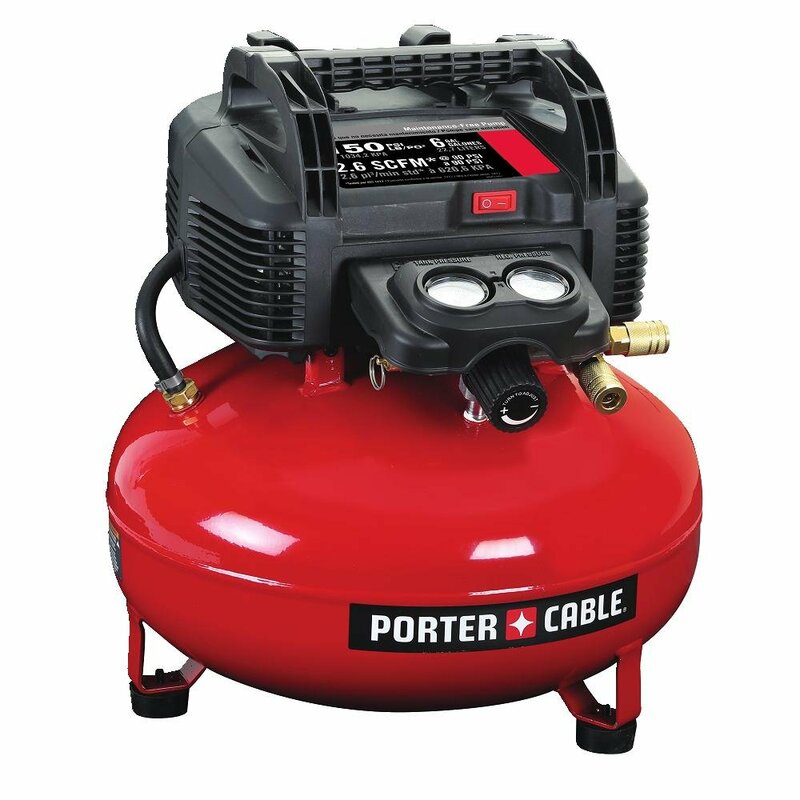 It is still somewhat noisy, but it does maintain good air pressure, which is not bad for a 100 Dollar air compressor. It arrived in excellent condition and on time. I am very pleased with my purchase. The instructions are not clear on this point, but DO NOT neglect the break-in period. 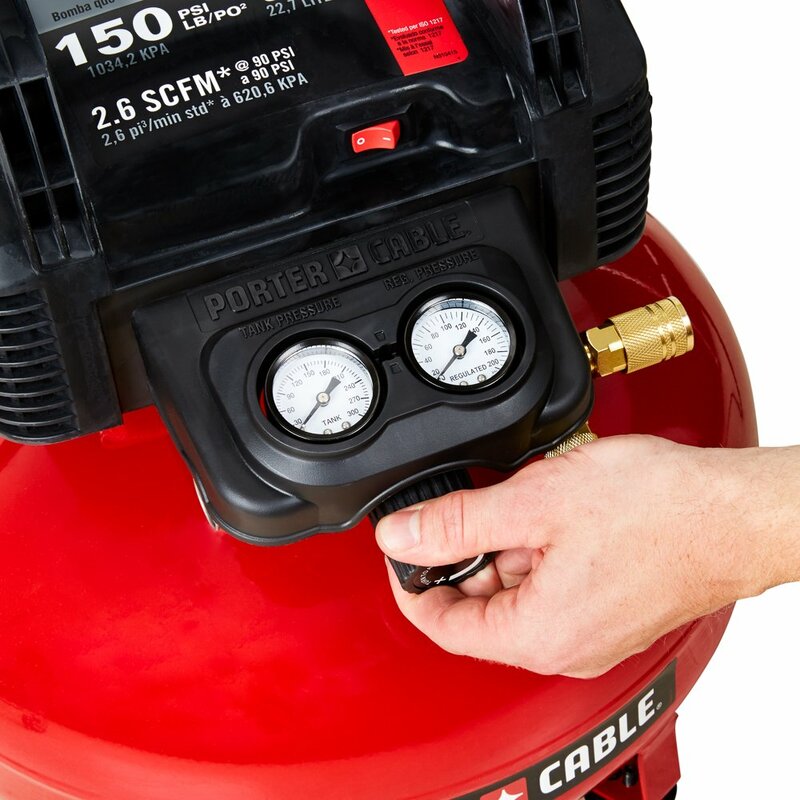 Before the first use, run the compressor with the pressure valve open for at least 15 minutes. 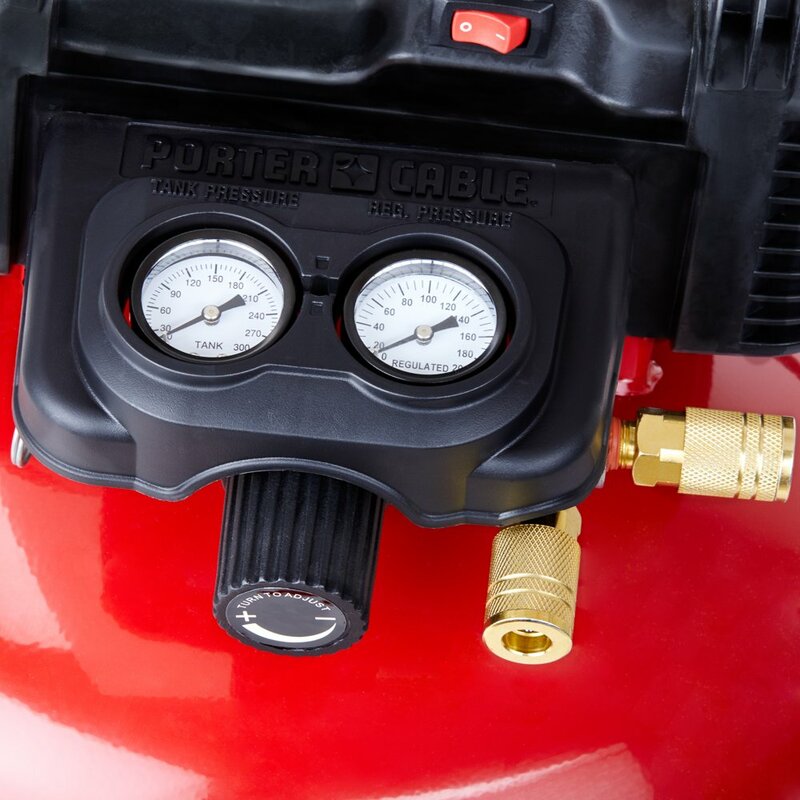 Only then, close the valve and allow the tank to come up to pressure.